Blog about (new) developments in (automotive) mobility. Yesterday the team of the Eindhoven University of Technology won the solar challenge for 'family cars'. Earlier Delft and Twente won first and second in the race category. 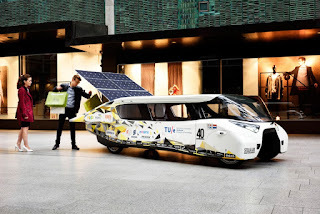 The good thing about Eindhoven's car is that it is a 'normal' car. It has a licence plate and seating for four. 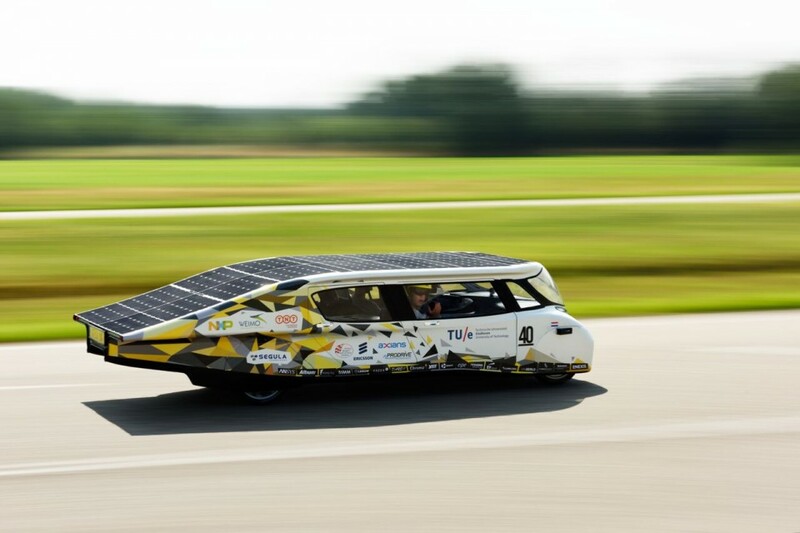 Thanks to its solar panels it can drive all day on a single charge, although at limited speed. The race consisted of two stages of 1.500 km each, which were driven on an average speed of 76 km/h. From sunrise to sunset without refilling its battery. 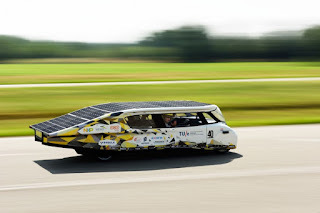 For a more northern country like the Netherlands, the range would be about 1.000 km per day. As the car boasts an electric battery as well, it would be possible to extend that range, or drive at higher speeds (up to 130 km/h) if the battery was refilled en route. All in all this car shows that solar extended electric vehicles are ready to hit the market.